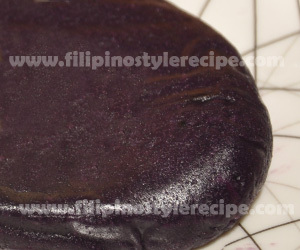 Filipino Style Recipe: Kalamay ube is another Filipino dessert and meryenda(mid-afternoon snack) that is commonly sold along the streets. 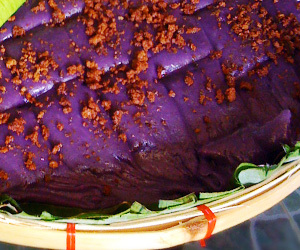 Kalamay ube is a chewy rice purple cake made of purple yum(ube). Purple yum comes boiled, peeled and grated then cook with coconut milk, rice flour and sugar until thick. 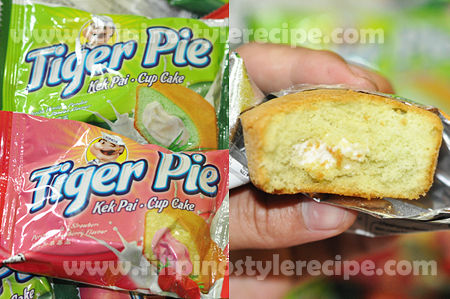 Sprinkle with coconut curd(latik) then serve warm. 1. On a pot, boil water then cook purple yam for 30 minutes or until soft. Drain and let cool. 2. Peel the purple yam and grate. Set aside. 1. In a pan, pour coconut milk then cook in a low heat. Keep stirring until curdles. Set aside. 1. In a large pan, combine the grated purple yam, sweet rice flour, coconut milk, sugar and vanilla then cook in a low heat. Keep stirring until well combined and thickened. 2. In a shallow pan or woven basket, lined a wilted banana leaves then grease with the coconut oil. 3. Transfer the mixture and spread evenly then sprinkle with coconut curd. Slice and serve warm. 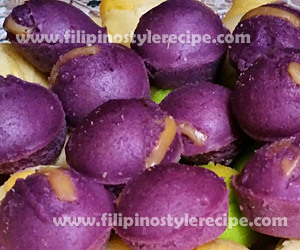 Filipino Style Recipe: Ube Halaya is a Filipino dessert made from purple yam. The purple yam comes boiled, peeled and grated. 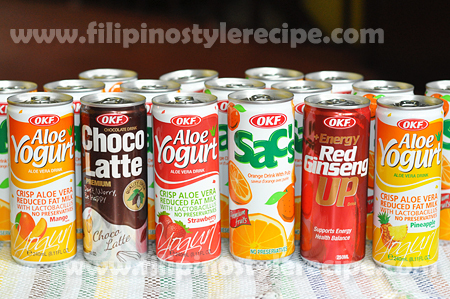 Cook with condensed milk and evaporated milk until thick. 1. In a pot, arrange purple yam and pour water. Bring to boil for 30 minutes or until tender. 2. Drain and let it cool. Peel and grate the purple yam. 1. In a pan, melt butter in a low heat and add condensed milk, evaporated milk and vanilla extract. Mix well. 2. Add grated purple yam and cook for 30 minutes or until becomes really thick. 3. Transfer to shallow pan and let it cool. 4. 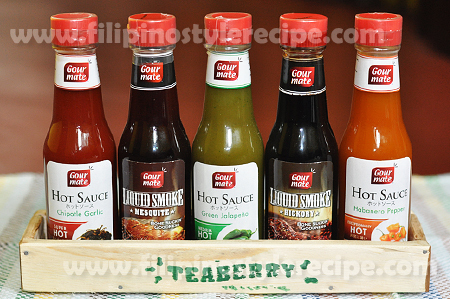 Refrigerate for 2 hours then serve. 1. You may also used powdered purple yam, available in grocery stores.